A university student who fried a hamster has been banned from keeping animals for eight years. 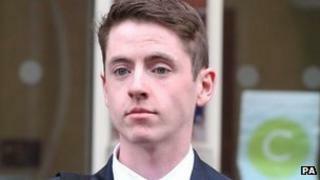 James White, who studies in York, fried his flatmate's pet while he was drunk, Selby Magistrates' Court heard. Experts could not establish whether the creature had died before or after it was put into the hot pan, the court was told. White, 21, of Popes Head Court, pleaded guilty to causing unnecessary suffering to the animal. He was also sentenced to 120 hours of community services and ordered to pay £1,000 court costs. White told police at the time of his arrest that he could not remember what had happened to the hamster. He was due to go on trial but changed his plea to guilty after district judge Roy Anderson indicated White would be convicted of the offence even if the animal was dead before it was cooked. He said: "What happened on that night is still shrouded in mystery. "By virtue of your treatment of this small, unfortunate rodent you've destroyed your good character and acquired a criminal conviction.